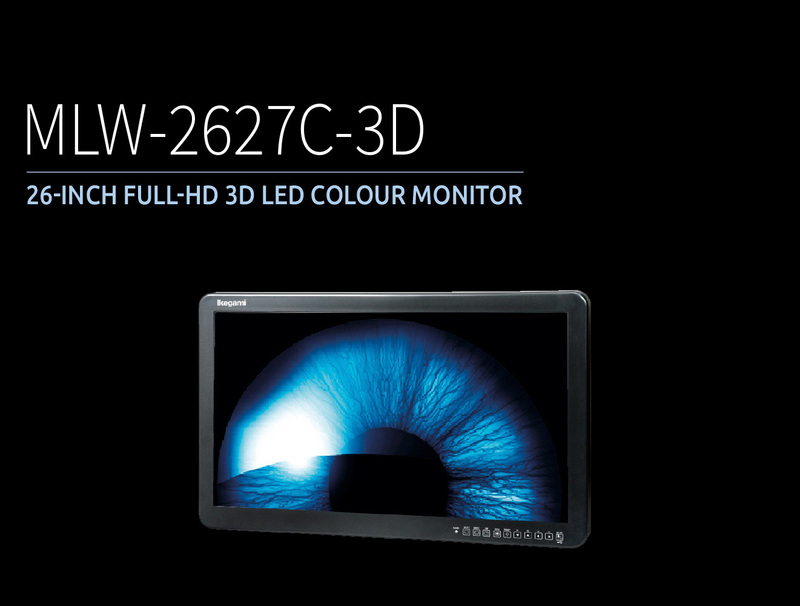 MLW-2627C-3D is a wide screen 26” LCD monitor with the high resolution 1920 (H) x 1080 (V) Full HD LCD panel, maximum intensity of 450 cd / m2 and wide angle of 178 degrees. Also, LED backlight panel supports high brightness & contrast. Furthermore HD-SDI 3G signal can be input for the true progressive imaging and more suitable to natural images. High performance with 3D HD quality is provided for medical specialists and experts.